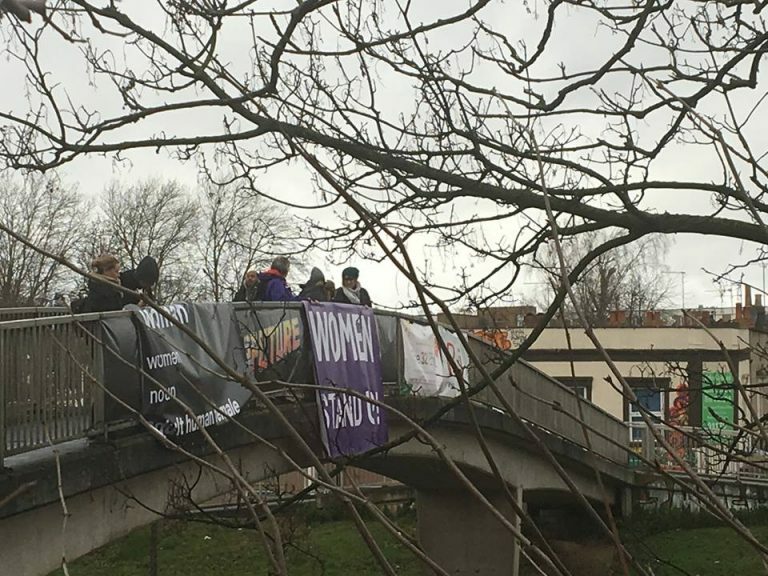 Last week following a call for a ‘week of action’ by infamous transphobe ‘Posie Parker’, a group of around a dozen hung banners from a bridge over the M32 in Bristol. Their action was small, but Bristol’s response was not. Whilst most of the banners may have been vague enough to not bother the motorists (the likes of ‘stand up for women’), the leaflets being handed out were just a series of fear mongering transphobic talking points. Despite Posie’s followers often claiming a desire for ‘debate’, all they could muster on the day was making one woman cry – then mocking her for it, before packing up and leaving when a second started refuting all of their points. Not a great start for a UK wide ‘week of action’, and things would only get worse by the time the actions ended last week. Most either consisted of several people with her infamous ‘definition of woman’ banner, or even smaller actions such as a T shirt left on a statue. It wasn’t just a poor turn out that ruined their week though. Whilst she always aims for media attention, what she got wasn’t quite what she was after. 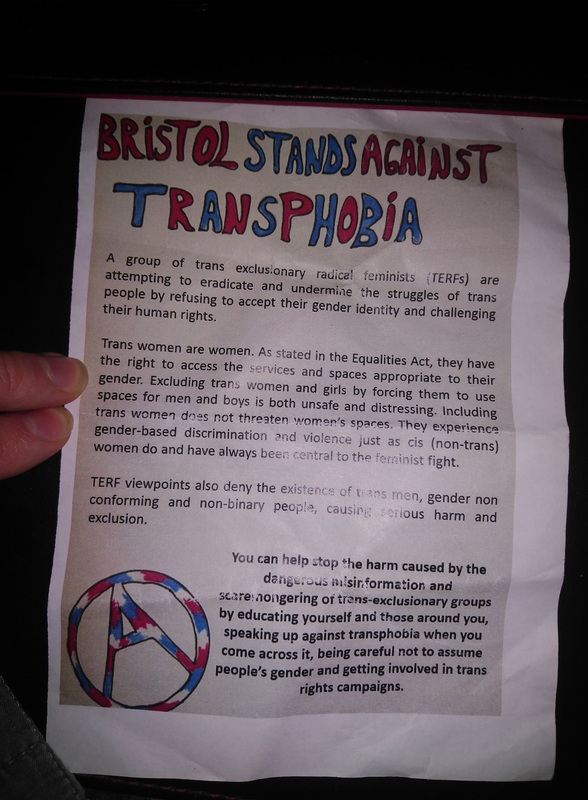 We’re not re-posting the transphobic leaflet, so here is one some comrades wrote in response! A fellow TERF (trans exclusionary radical feminist) published a blog detailing why she had stopped working with Posie, after discovering how willing she was to work with American far right groups. A few days into the week of action, Posie (who was spending it in the States) and fellow TERF Julia Long, attracted press attention after targeting and harassing Sarah McBride – press secretary for the Human Rights Campaign. They burst into a meeting in Washington filming and insulting McBride, misgendering her but failing to get the rise out of her they clearly desired. The response from feminists, and most media commentators, was condemnation at their ‘action’. Seeing the way public perception was going, many UK based TERFs such as Julie Bindel began to disavow Long and Posie on social media. Telling perhaps that it was bad press, rather than far right links or past incidents of abuse directed at trans people, that was the final straw for many of them. 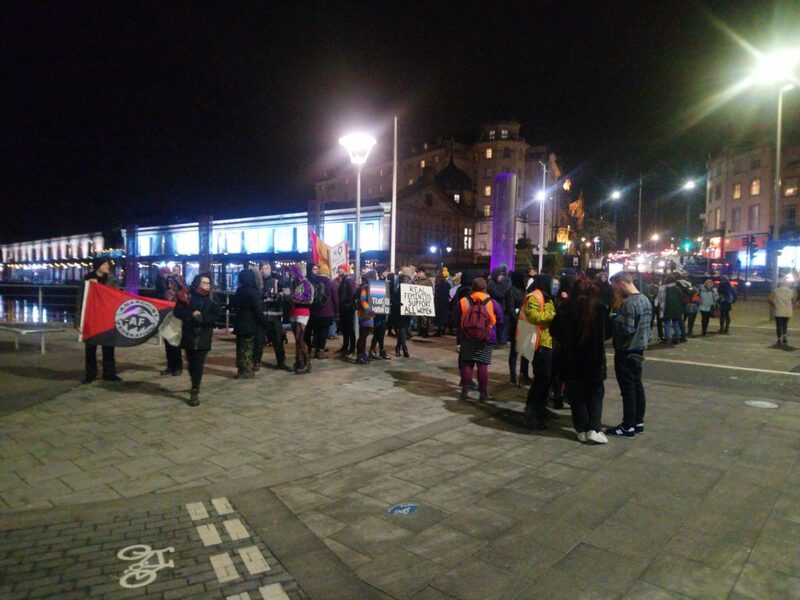 On Thursday (still in the transphobic week of action), Bristolians gathered for another protest. This one was different however, with over a hundred in attendance, and a message of solidarity with trans people. An impressive turn out made more so given the bitter cold and the short notice of the call out from the Bristol Sisters Uncut Facebook. Hundreds of leaflets were distributed (we ran out!) 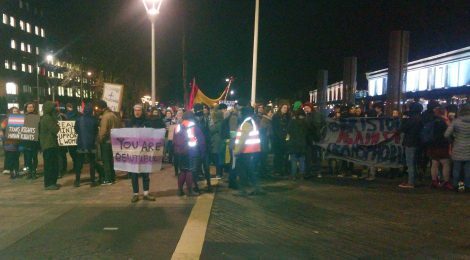 they, along with very clear placards like ‘trans rights are human rights’, ‘trans women are women’ and ‘real feminists support all women’, got a positive response. Not content to just stand there, a group decided to take to the streets, with a big ‘Bristol Against Transphobia’ banner leading the way the rest of the protest followed. 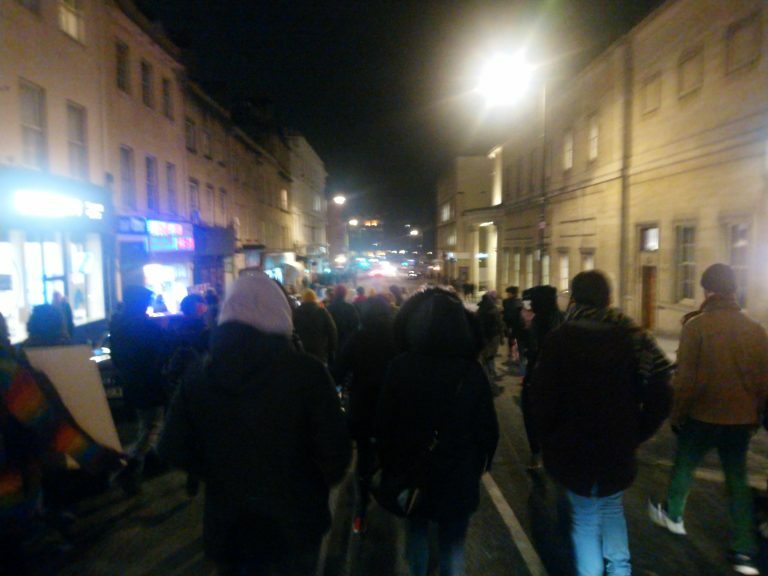 This impromptu march wound its way through the centre of Bristol, making it clear that this is not a place where trans people can be scared into silent acceptance of oppression, but one where they can stand strong backed up by cis accomplices. Our cities and our movements – feminist, anarchist, leftist – should be welcoming places for everyone facing oppression and desiring to tear down its structures, but they won’t be that without our continued effort and vigilance. No TERFs on our turf!